Following the success of the BCRC stand at the Emergency Services Show, it was taken to “Hidden Earth” in September 2014. 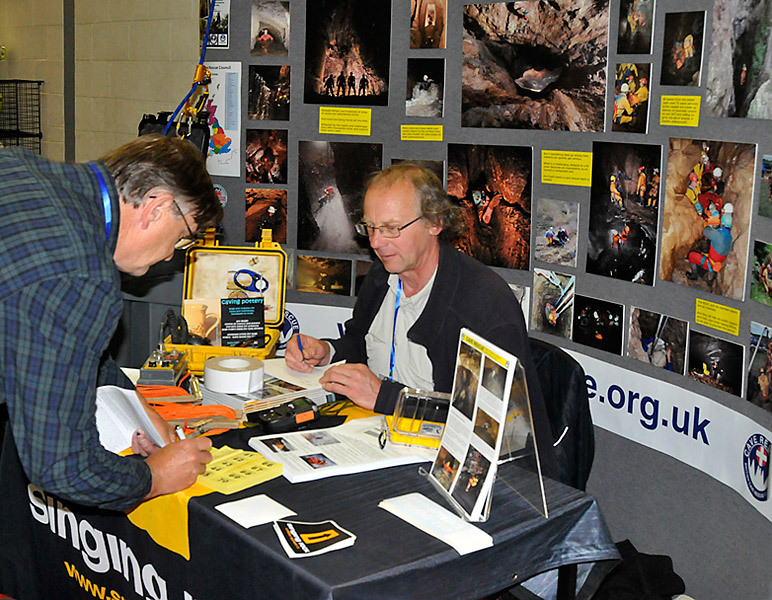 Hidden Earth is the Uk’s national caving conference and attracts several hundred cavers – not just from Britain. So this was a good opportunity to raise the profile of BCRC. 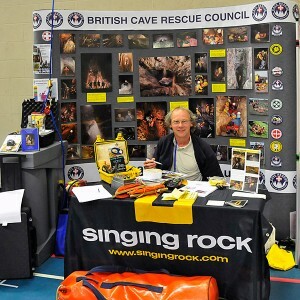 While a lot of rescue team members were at the conference there were a considerable number of cavers who were unaware of the BCRC and it’s role. We were also grateful to several organisations who kindly donated an excellent range of equipment for a raffle to raise funds – which proved VERY popular! 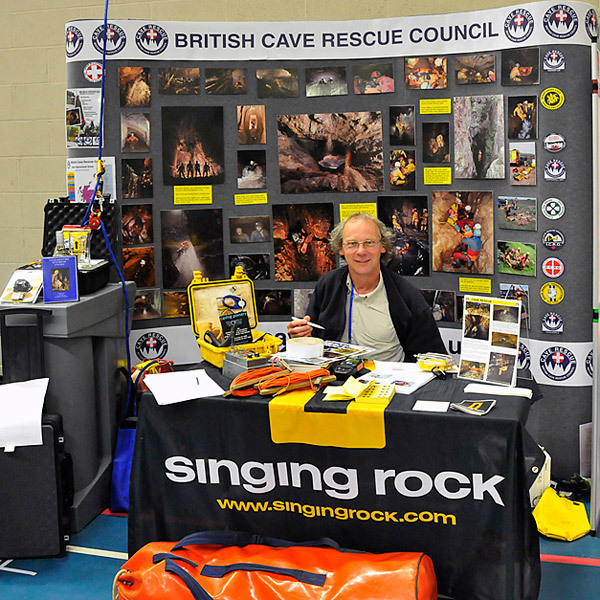 BCRC Treasurer Paul Taylor takes care of the stand at Hidden Earth 2014. The raffle proved a big success, with tickets selling like hot cakes!